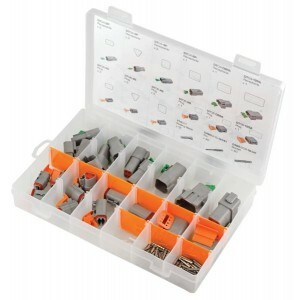 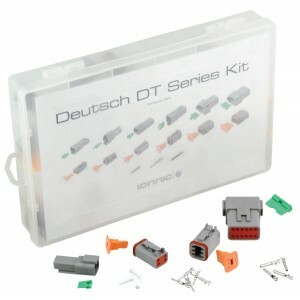 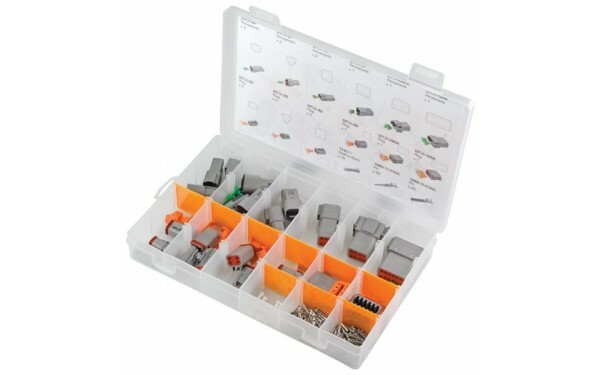 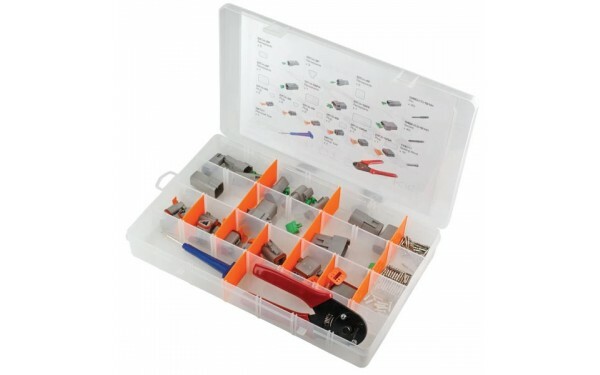 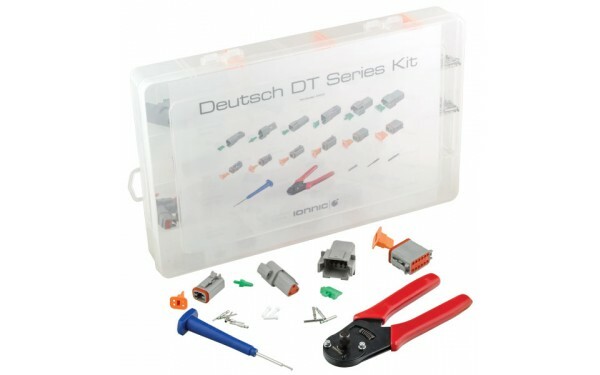 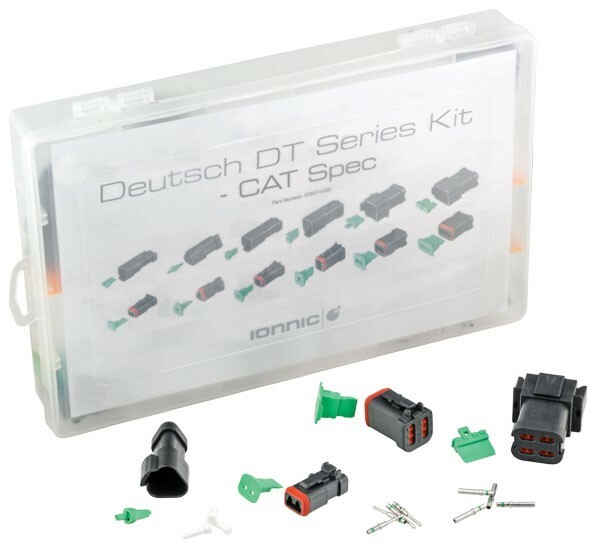 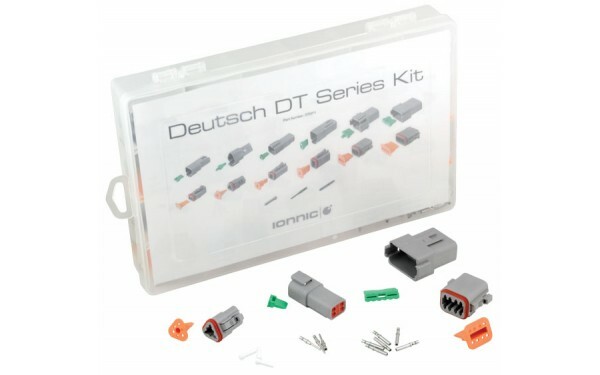 The Deutsch® DT-Kits are the basic starter kits for the popular DT Series of connectors. 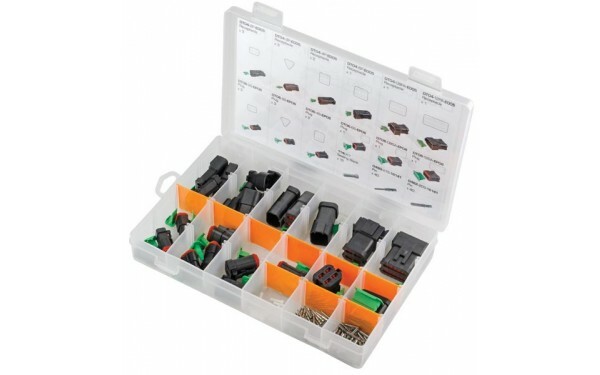 Each kit contains all of the pieces necessary to make a connection in a convenient parts box. 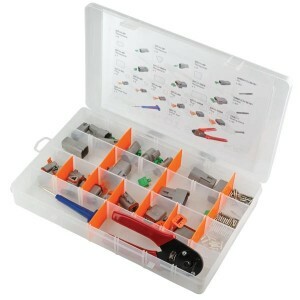 Each kit has a listing of all the parts on the inside cover of the lid so identification and re-ordering is made easy. 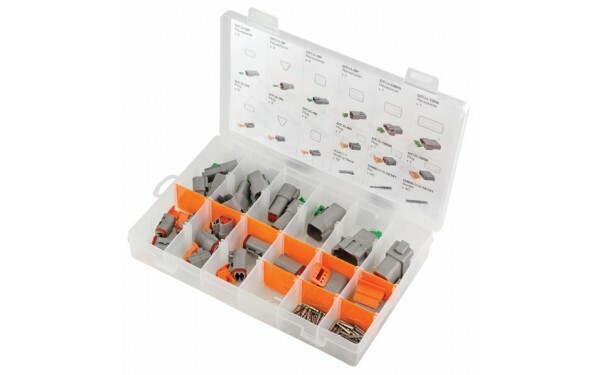 Available in Solid or F Crimp contacts. 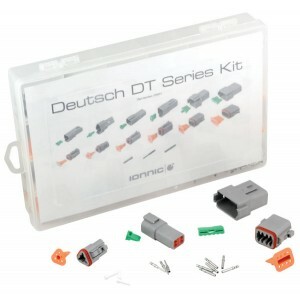 The Deutsch® DT-Kits are the basic starter kits for the popular DT Series of connectors. This kit contains the Deutsch DT series used on Caterpillar® equipment. 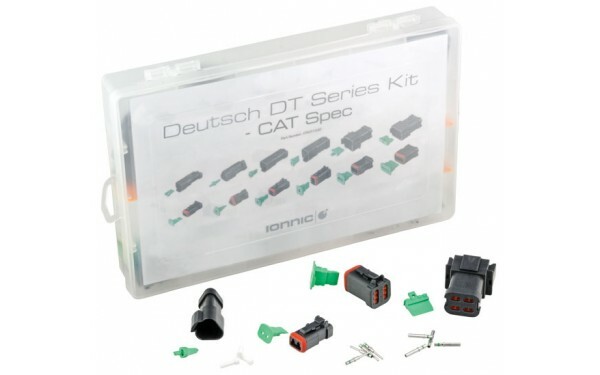 The CAT Spec connectors have rear seal retainer and use a green wedge with an enhanced seal retention lip. 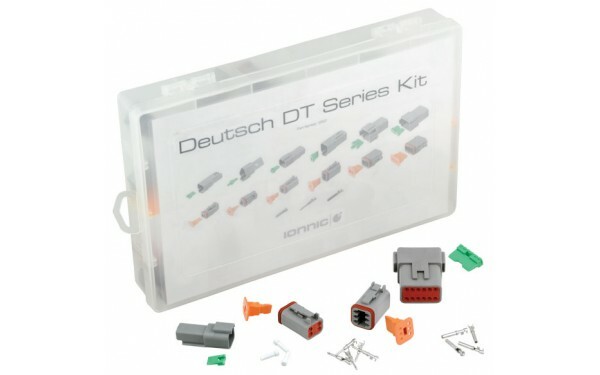 These connectors can be identified by their back housings. 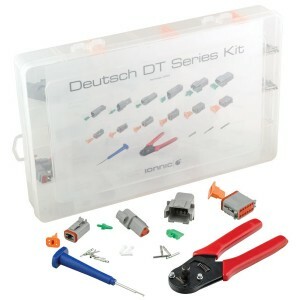 Each kit contains all of the pieces necessary to make a connection in a convenient parts box. 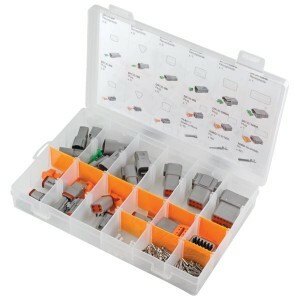 Each kit has a listing of all the parts on the inside cover of the lid so identification and re-ordering is made easy. 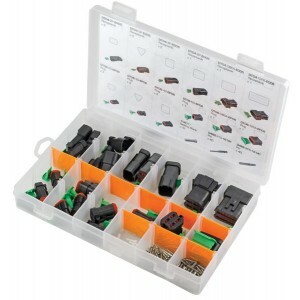 Solid Green Band contacts only.